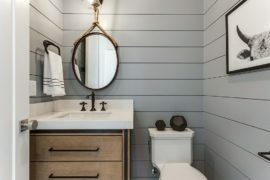 We often talk about blue being a versatile color that can be used with pretty much any style that you have going in your home. 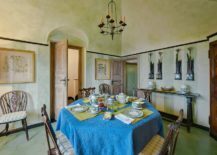 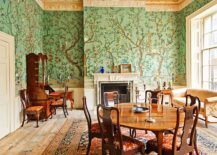 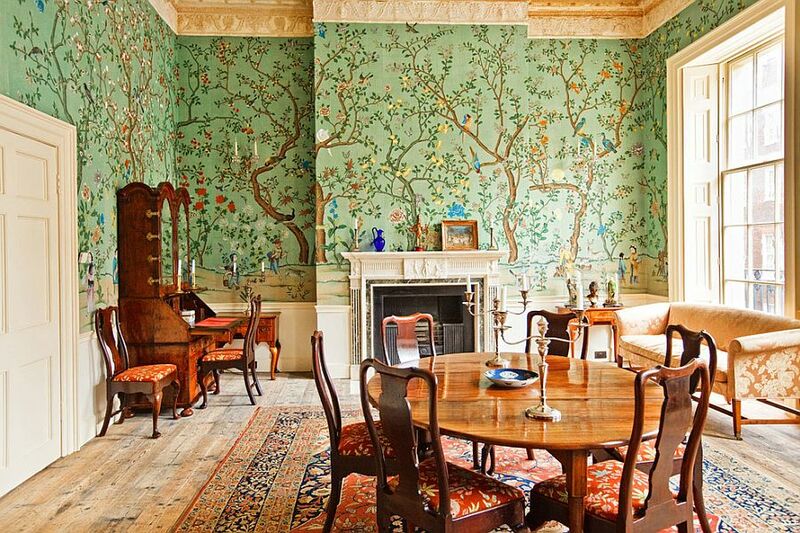 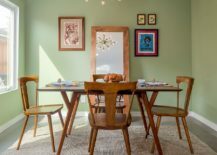 But green is not far beyond when it comes to adaptability and today we showcase this by browsing through some of the most beautiful dining rooms in green with versatile styles! 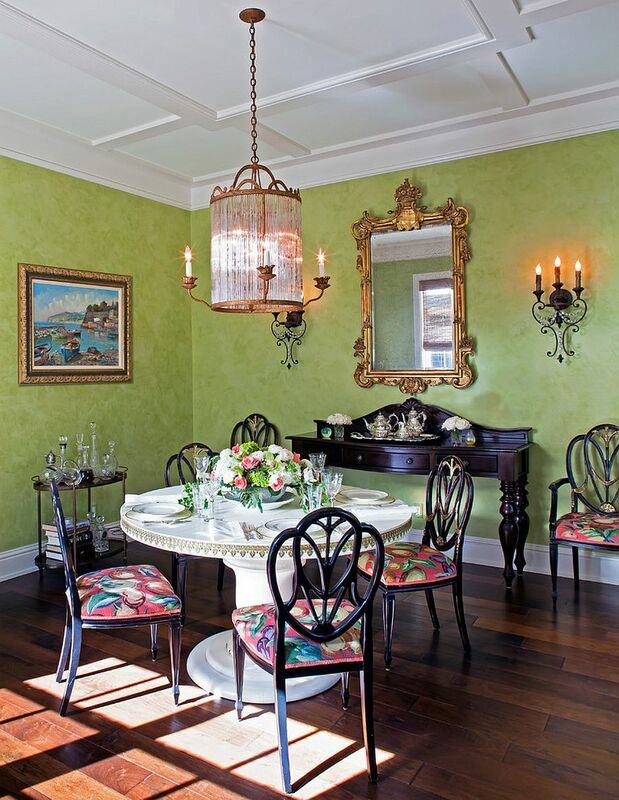 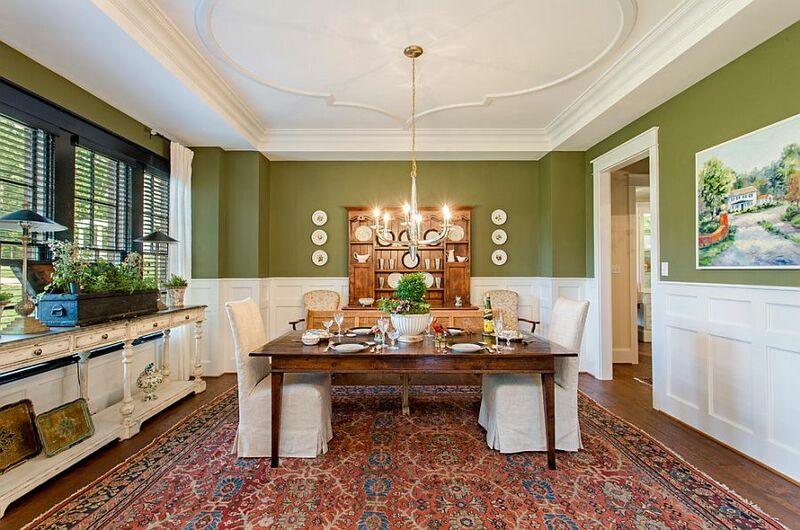 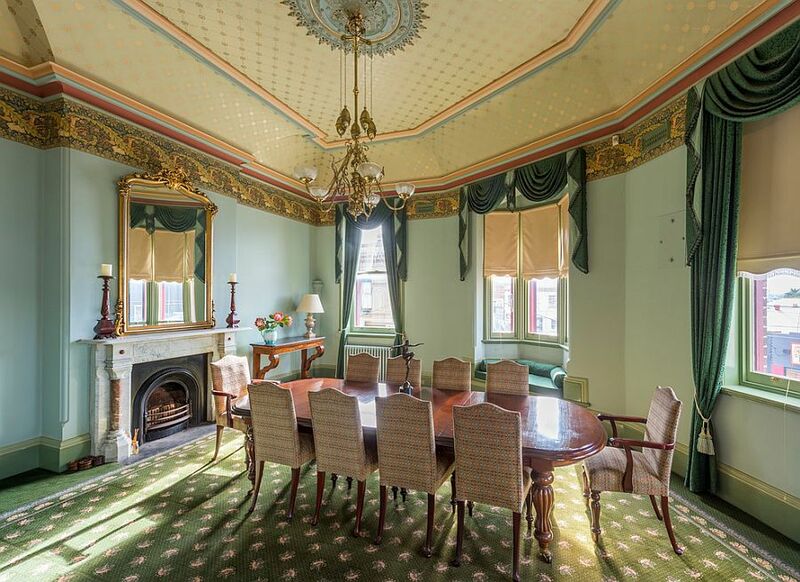 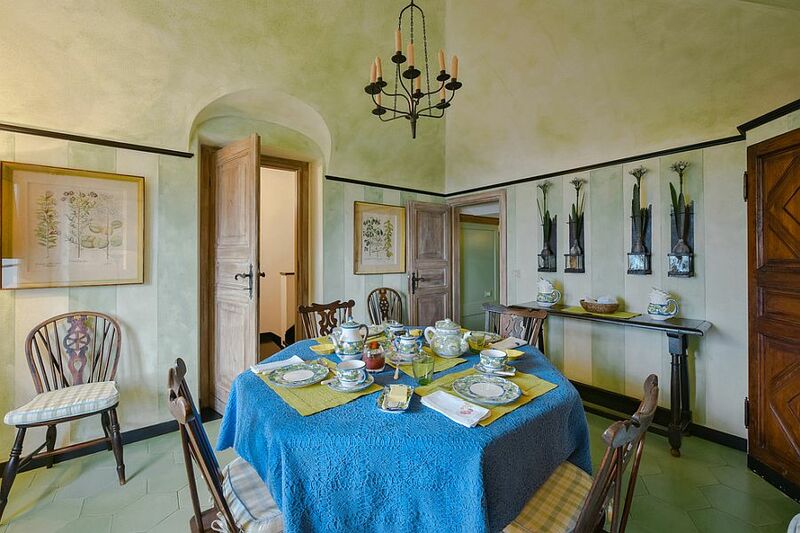 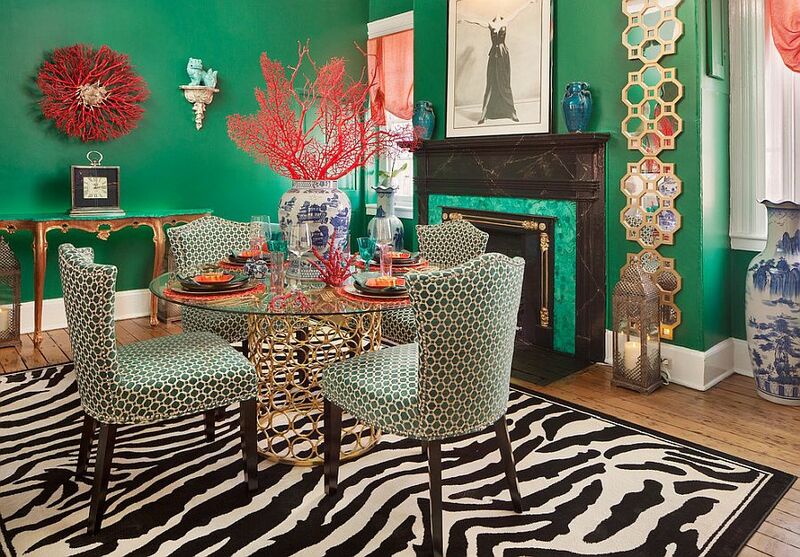 Green in the dining room gives the space a pleasing and refreshing ambiance. 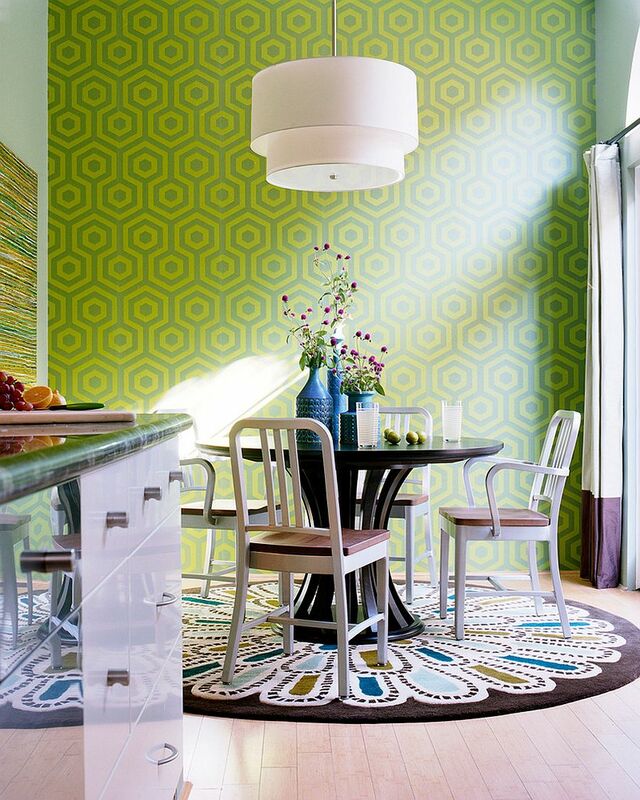 It makes the small dining room brighter and gives the large dining room a warmer look. 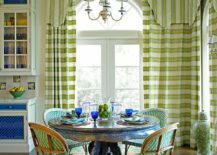 But beyond this, green also reminds us of nature at its charming best and allows us to add nature-centric motifs with ease. 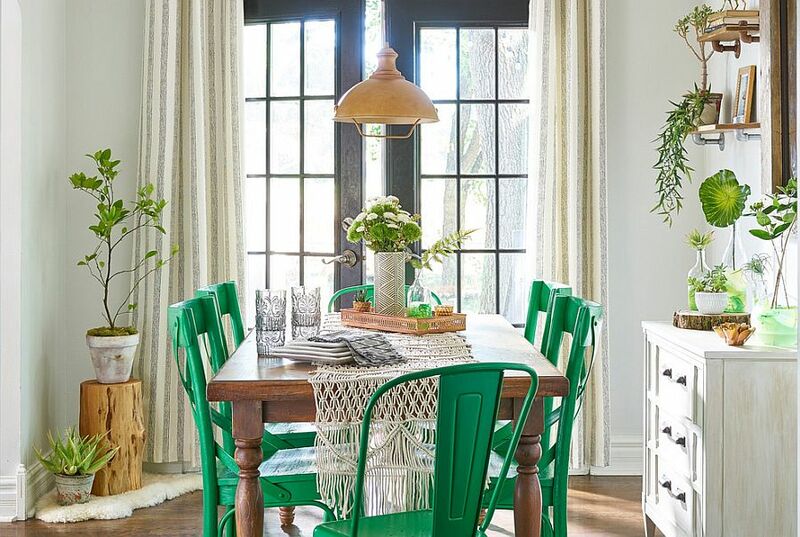 Adding green to the dining room is a not a daunting task when you balance it with the right neutral hue and proper lighting. 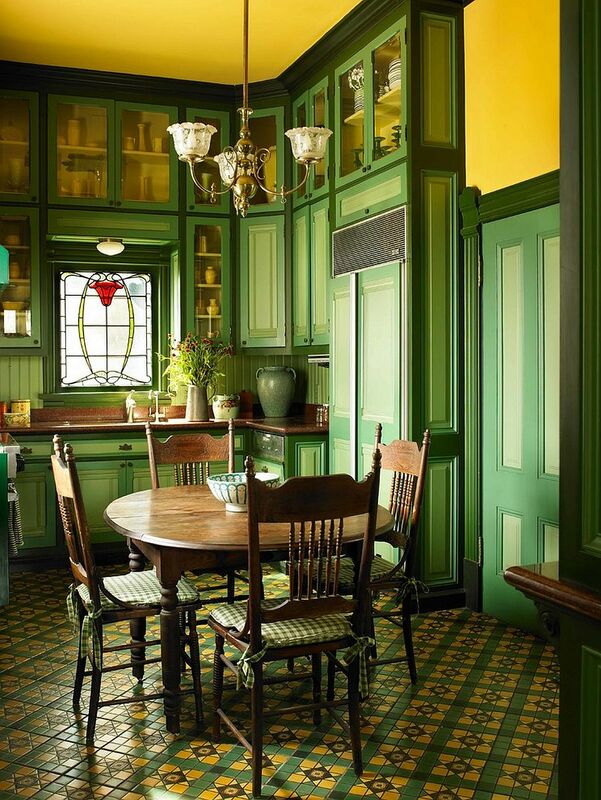 More than the color itself, it is the shade, hue and tint of green along with the patterns in the room, décor and overall design that set the mood. 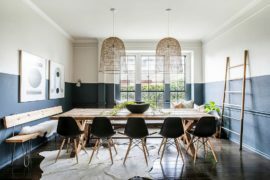 From Mediterranean to modern and shabby chic to Scandinavian, this is a look at the best dining rooms in green – there is a style for everyone in here! 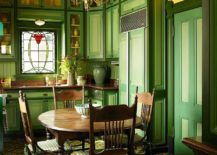 For many of us, embracing the darker hue of a color always feels a touch more risky than its lighter counterpart. 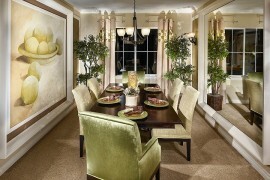 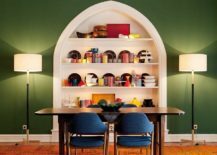 It can be tricky indeed and a dark green backdrop done wrong can quickly give the dining room a dull and boring appeal. 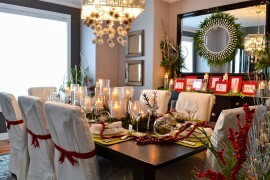 But get it spot on and you have a showstopper that instantly lifts spirits! 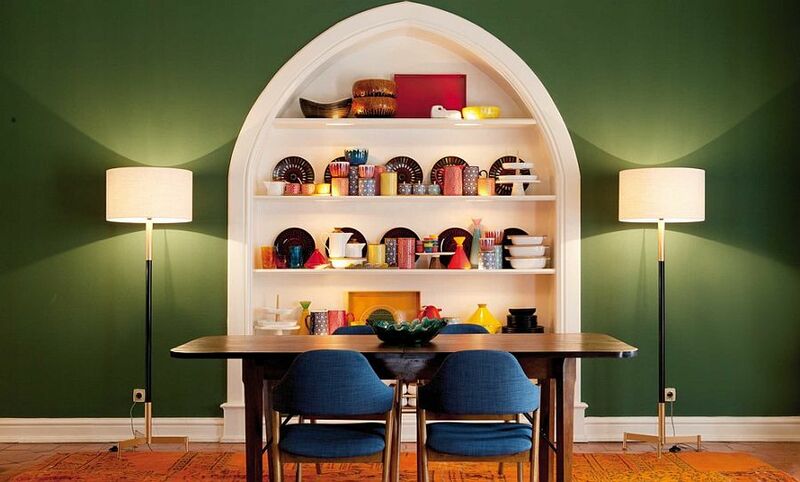 A dark green accent wall is the best option in contemporary dining areas set in an open plan living. 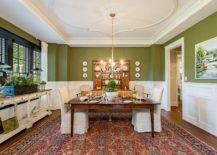 This delineates space with ease and gives the dining room an identity of its own. 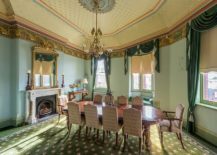 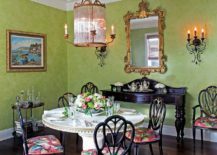 Surprisingly, dark green looks equally at home in classic dining rooms with a traditional, Victorian or even Mediterranean vibe. 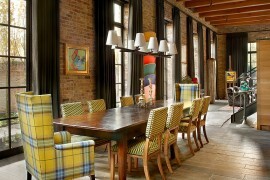 As we alluded to earlier, a lot depends on rest of the room and how it is styled. 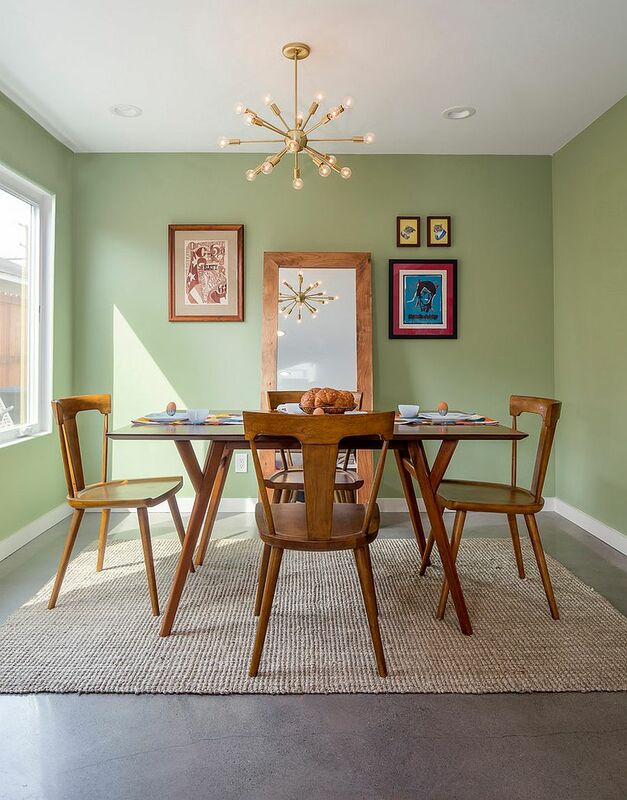 No matter what style you pick, be sure there is plenty of natural light or an even layer of ambient lighting in here to brighten the dining space clad in dark green. 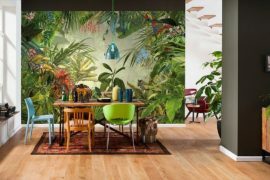 One of the top decorating trends of 2018 has been framed botanicals and tropical styled inspired patterns. 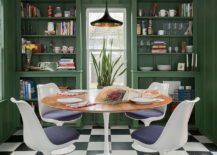 A dining room with splashes of green easily accommodates these accents and you can easily transition between styles such as tropical, beach, shabby chic and a whole lot more with these smart additions. 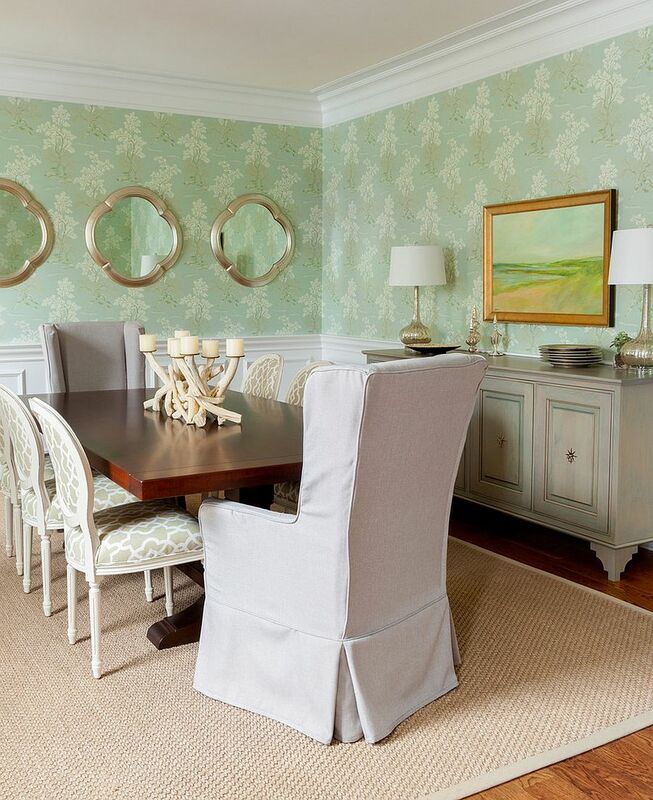 Wallpaper is another cool way to usher in both color and nature-centric pattern into the dining room and combining it with unassuming neutrals only elevates the wallpaper further! 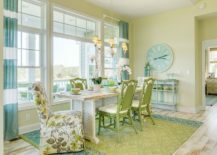 Not all dining rooms in green are bright and loud and the color can also act as a charming neutral when used in its lighter shades. 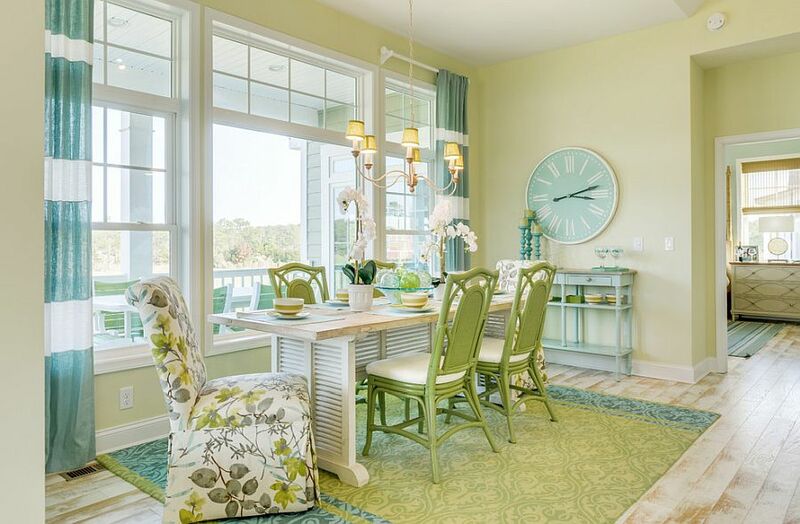 A textured, light green background for the Mediterranean style dining room looks absolutely gorgeous while pastel green walls are perfect for the small, shabby chic dining space full of vivacious color. 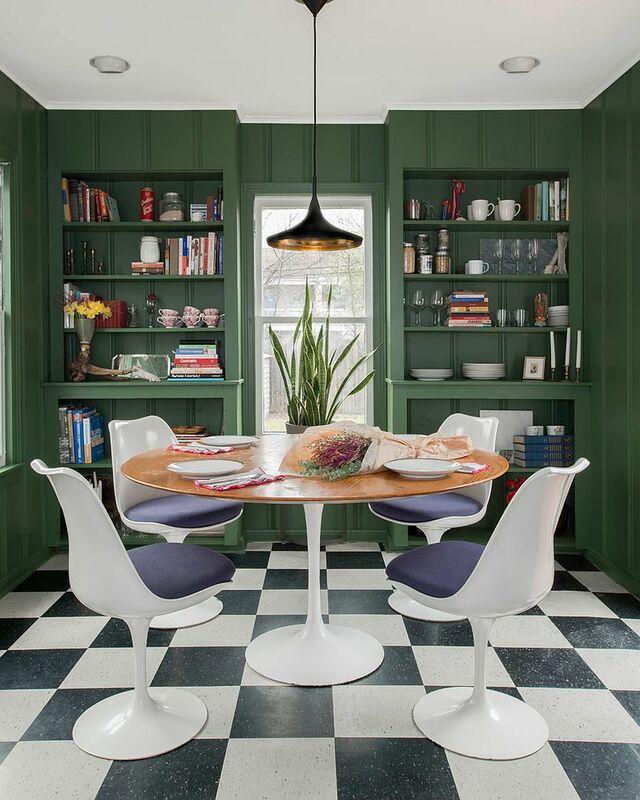 Gentle greens are also a hit in the midcentury modern dining room where it is the wooden décor and accents that steal the spotlight. 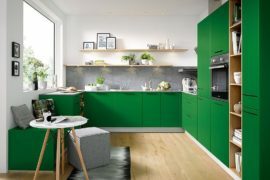 Pick the green you love most and give your dining room a trendy makeover in the second half of 2018.